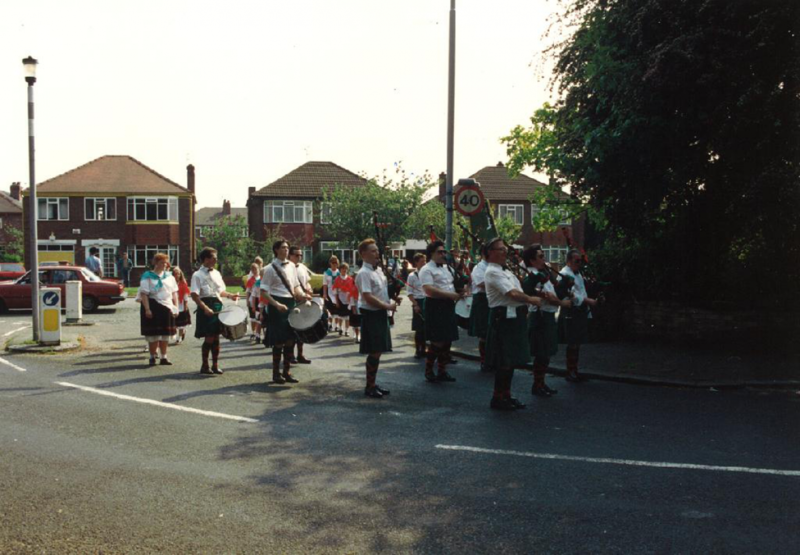 In the fifties and sixties, the Band built up a solid reputation, performing at fetes, celebrations, processions and charity events in Manchester and the surrounding area. 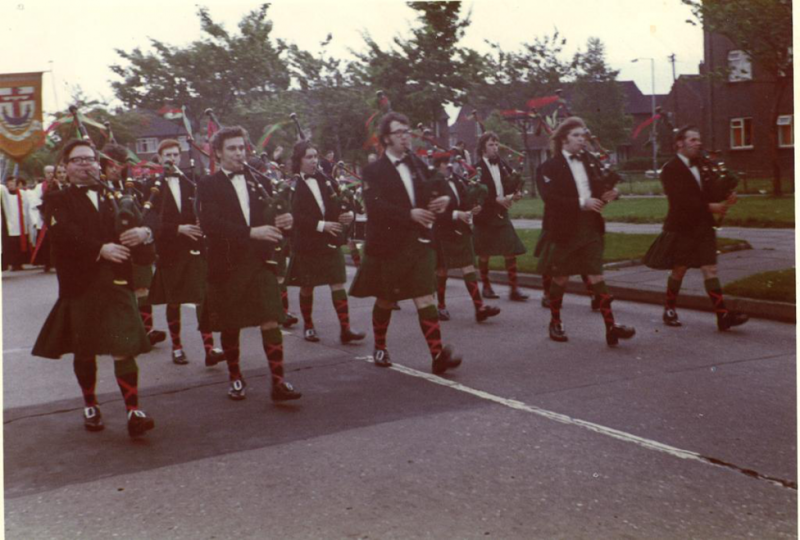 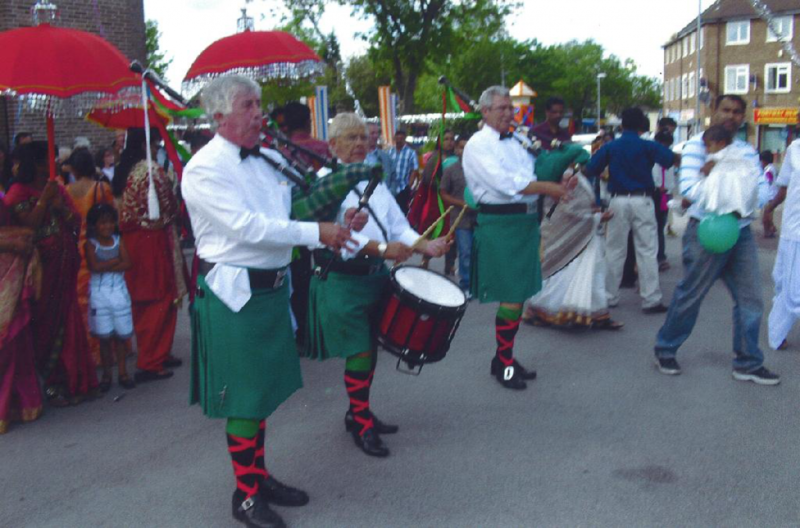 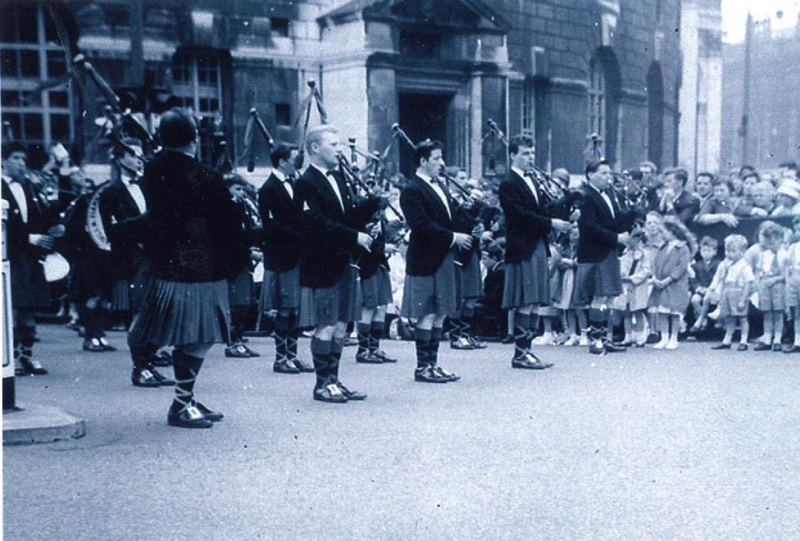 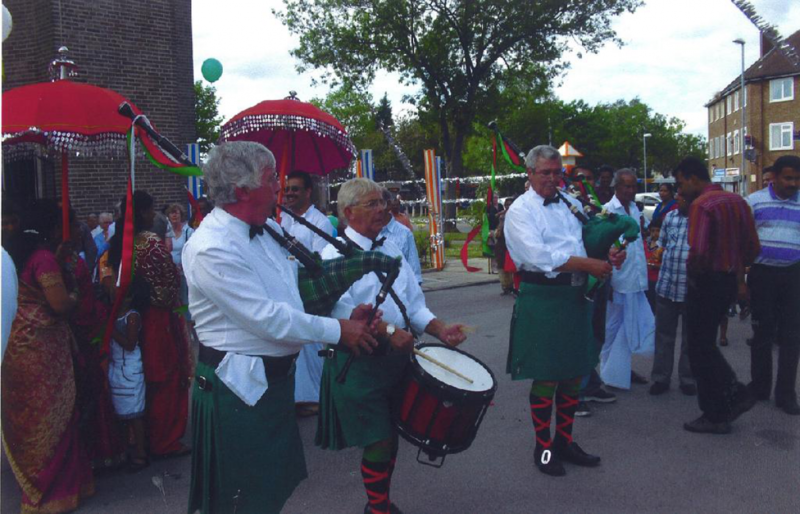 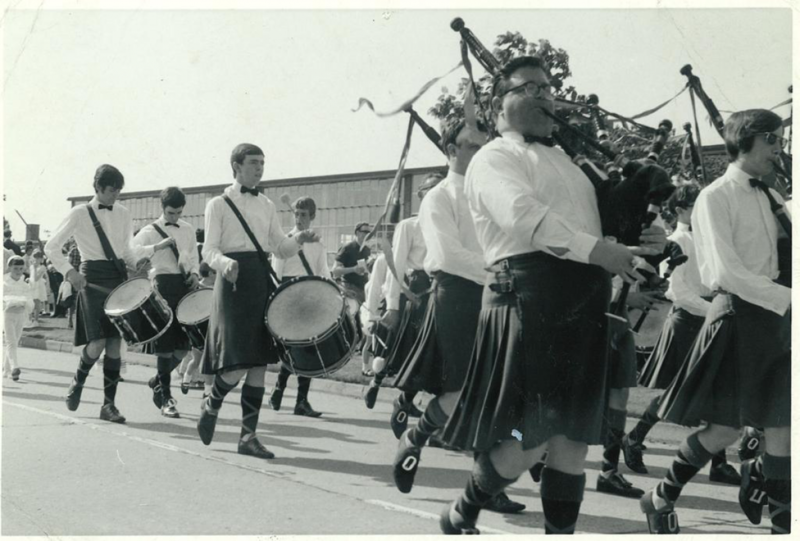 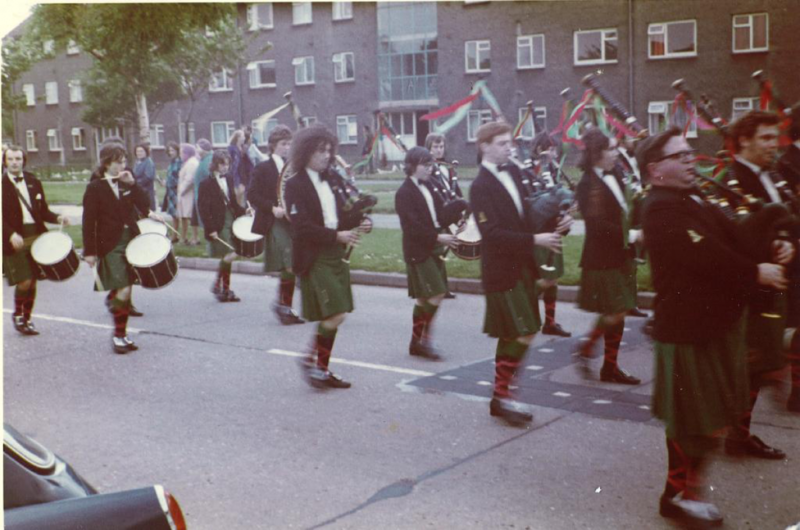 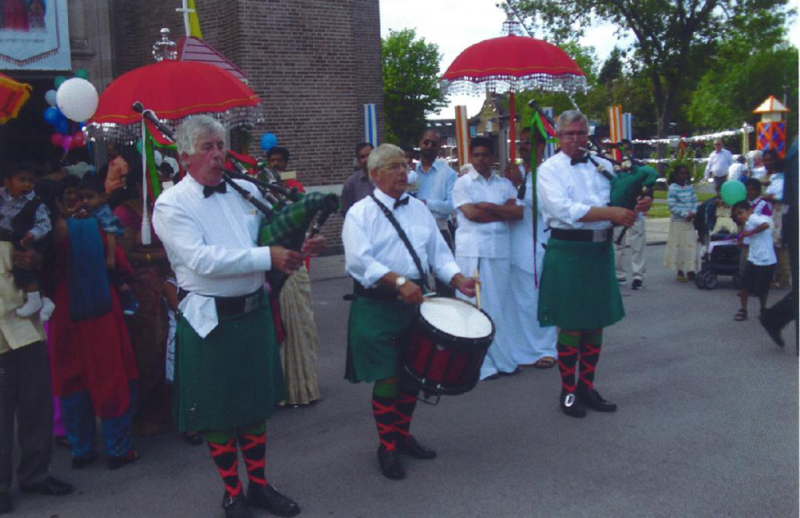 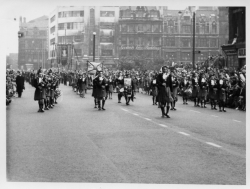 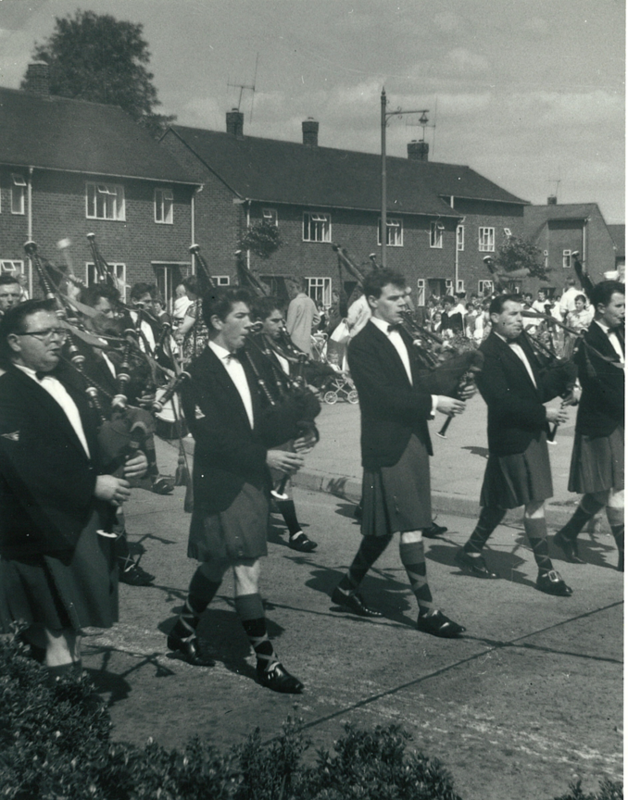 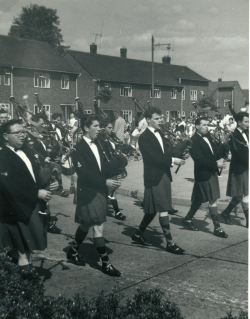 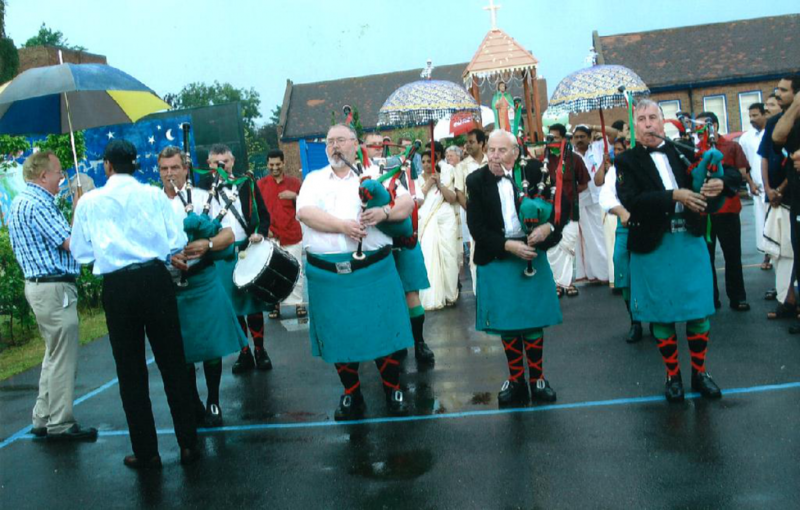 The Fianna Phádraig Pipe Band has been a familiar sight over the years at processions, garden parties and celebrations of all kinds, both locally in Wythenshawe and throughout the Great Manchester area and beyond. 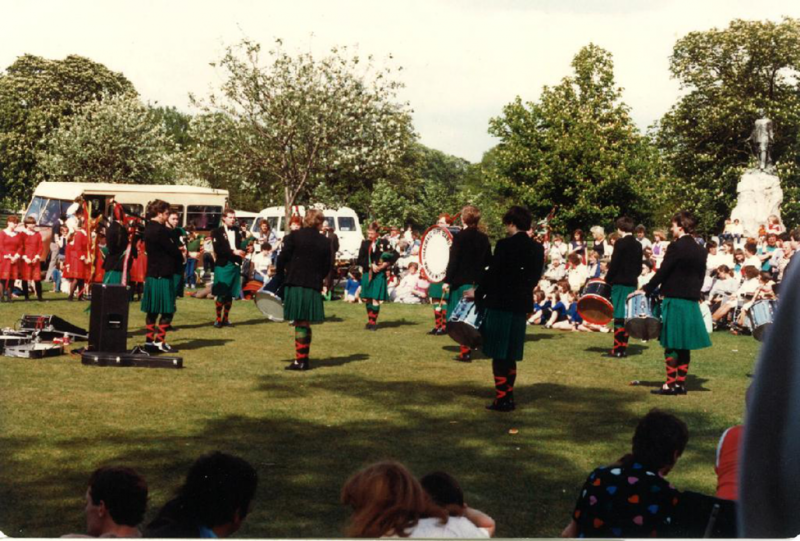 with a view of the Green Hut, bottom right. 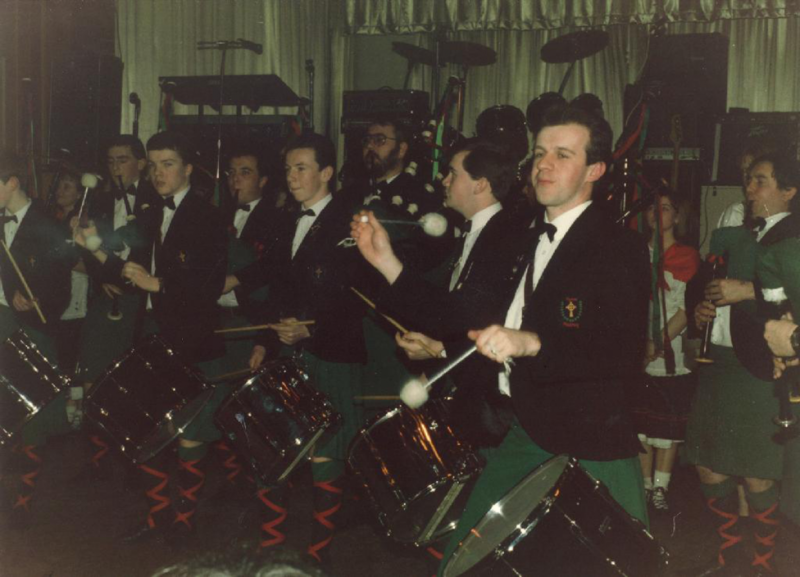 Thanks to Ian "Gonzo" Dewis for the photo. 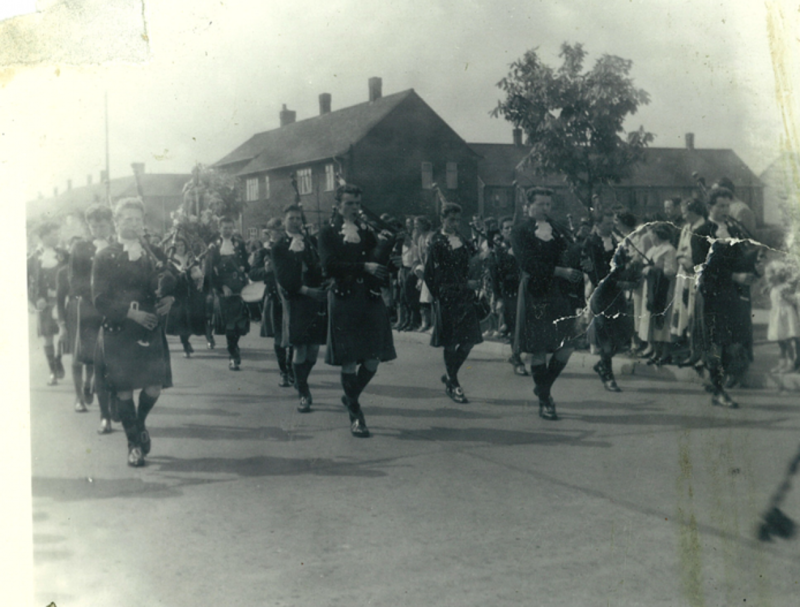 As far back as the mid-fifties, as we have already seen, the Band was a regular participant at both the Whit Walks held in Manchester City Centre and the walks organised by the outlying parishes during Whit Week and on the occasion of other feast days and celebrations during the year. 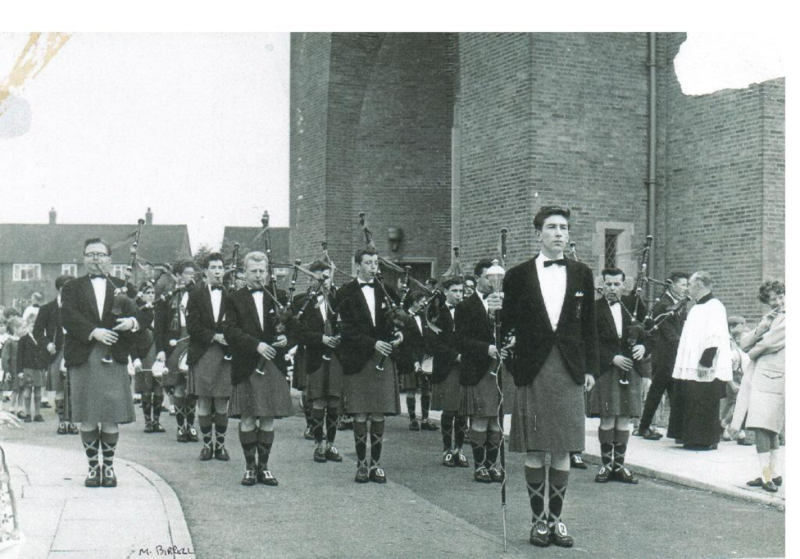 and Mike Barker on the front row. 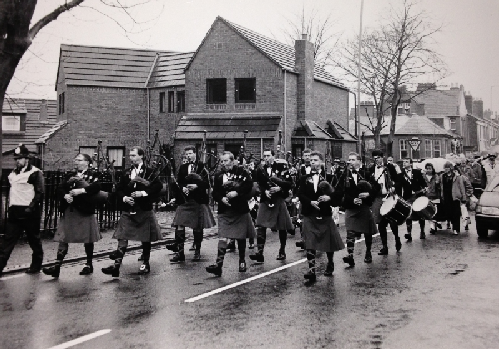 Earlestown... a great favourite amongst the pipers and drummers over the years. 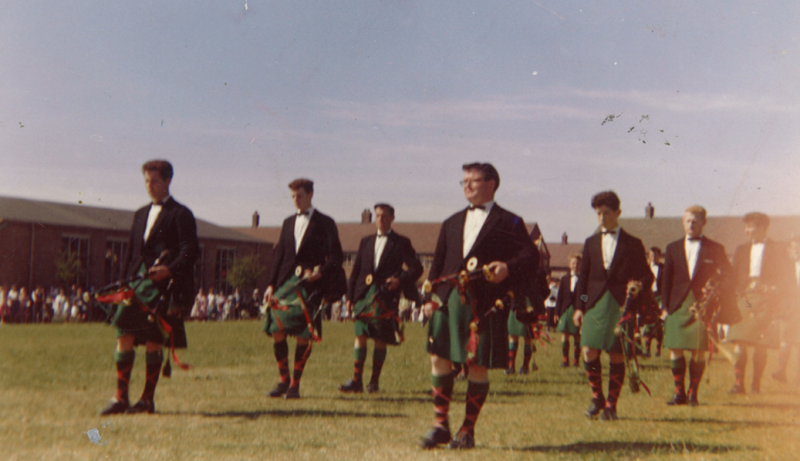 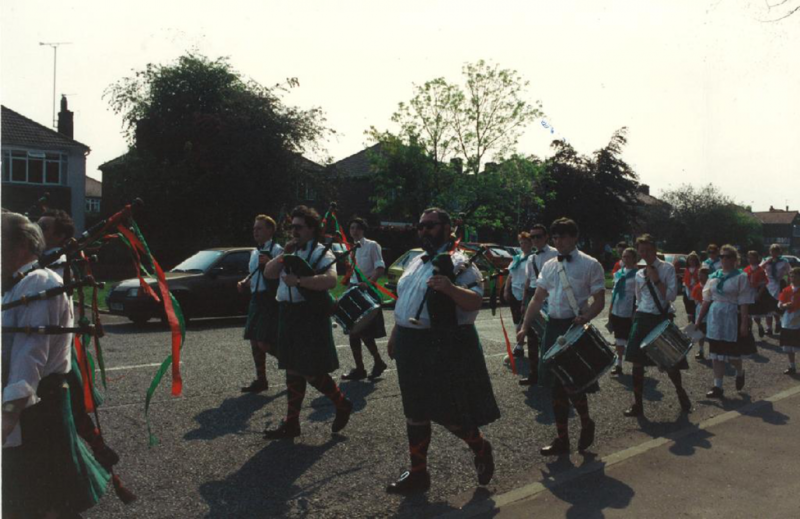 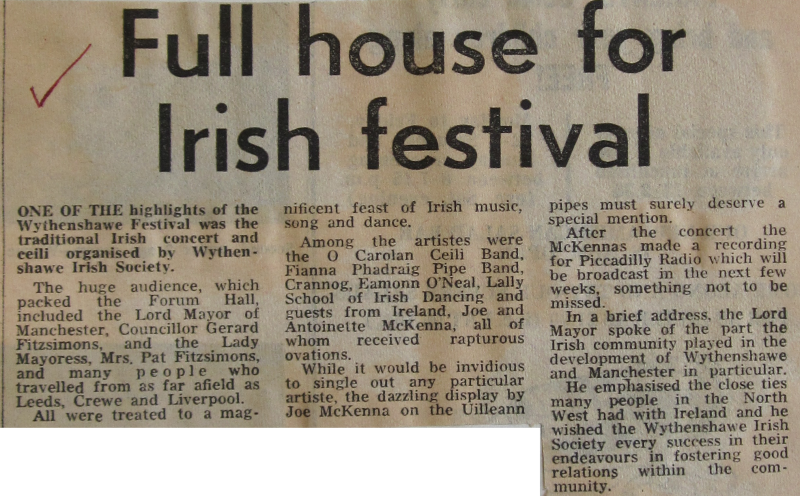 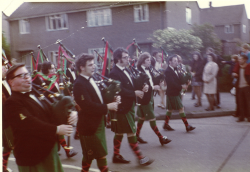 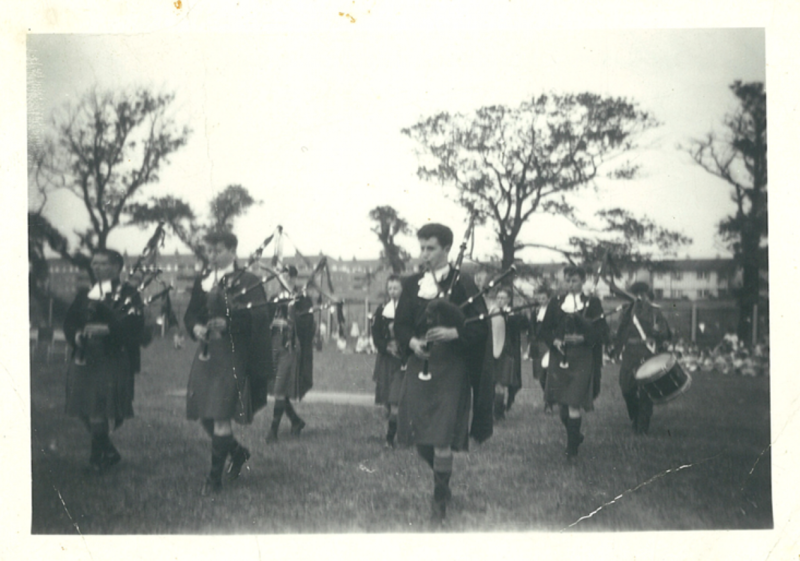 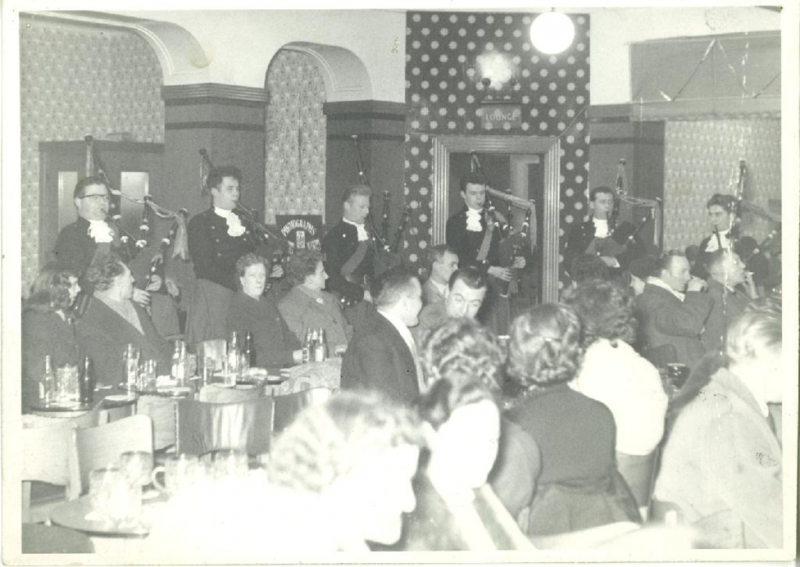 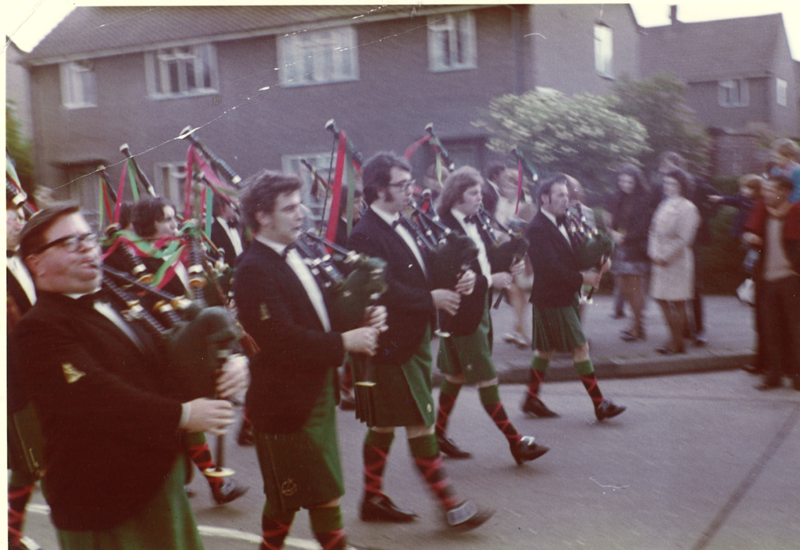 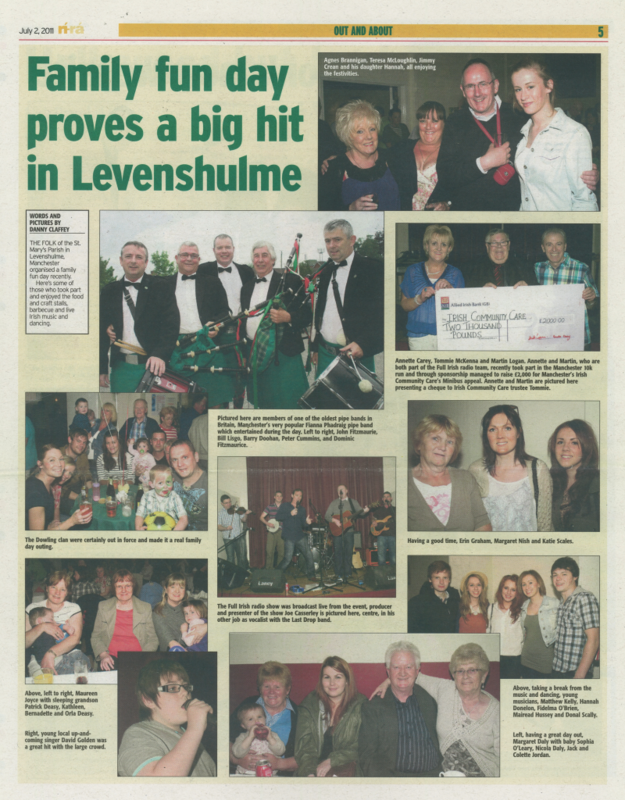 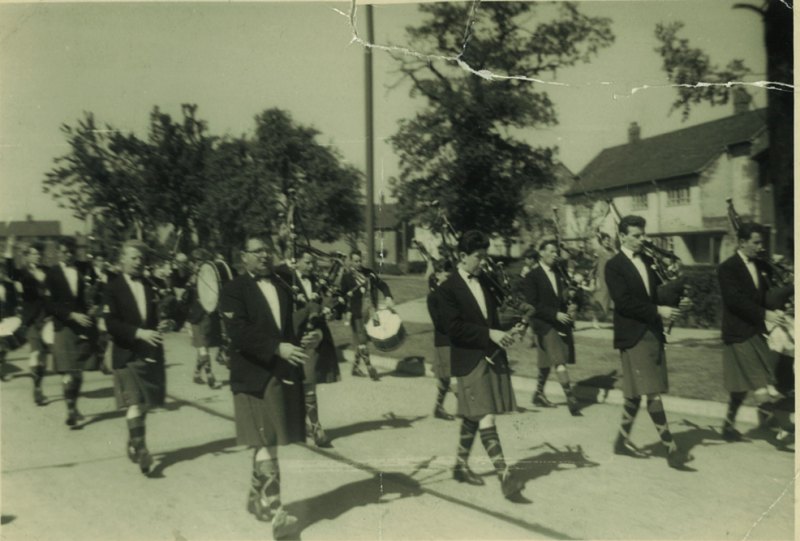 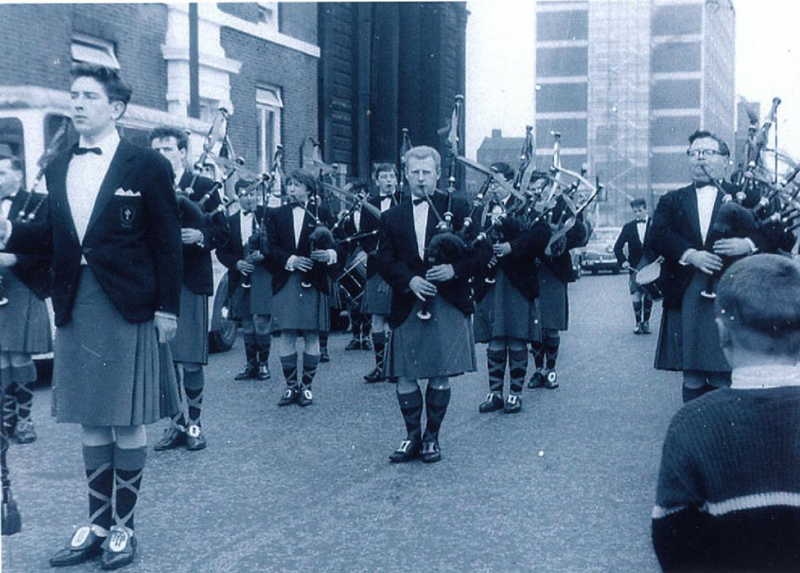 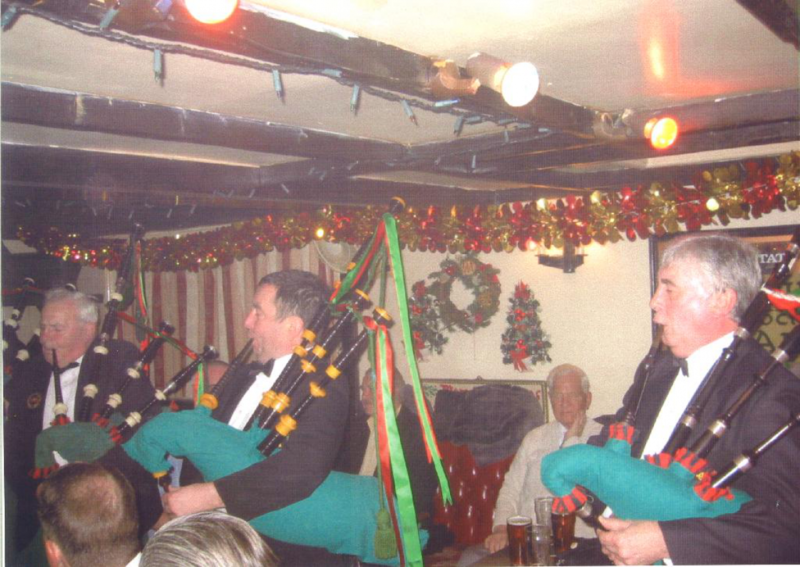 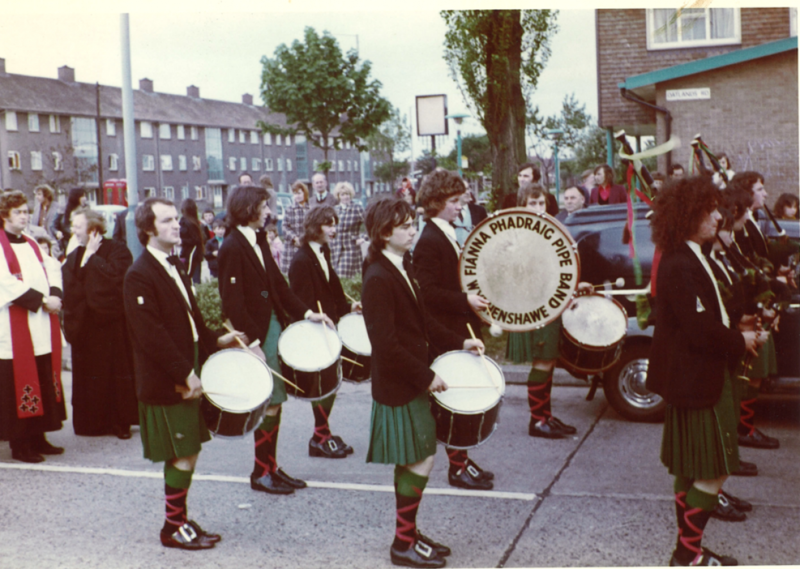 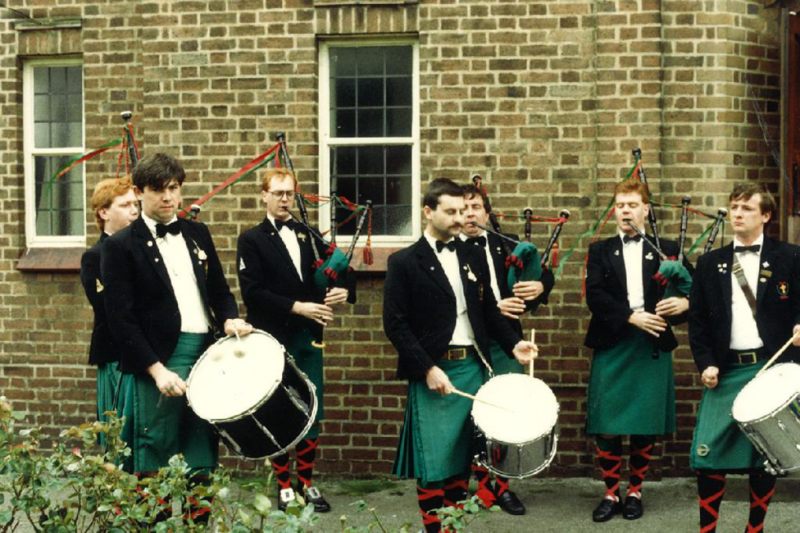 The Band played at the St. Patrick's Day walks in Earlestown (St. Patrick's church, Newton-le-Willows) for several decades, initially alongside its sister band, the Terence MacSwiney Pipe Band. 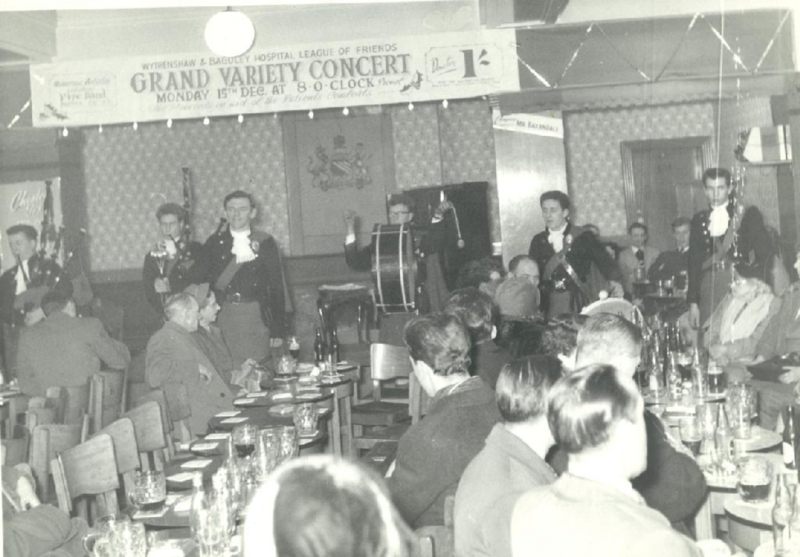 Check out below a selection of the Band's local engagements over the past 65 years and more.